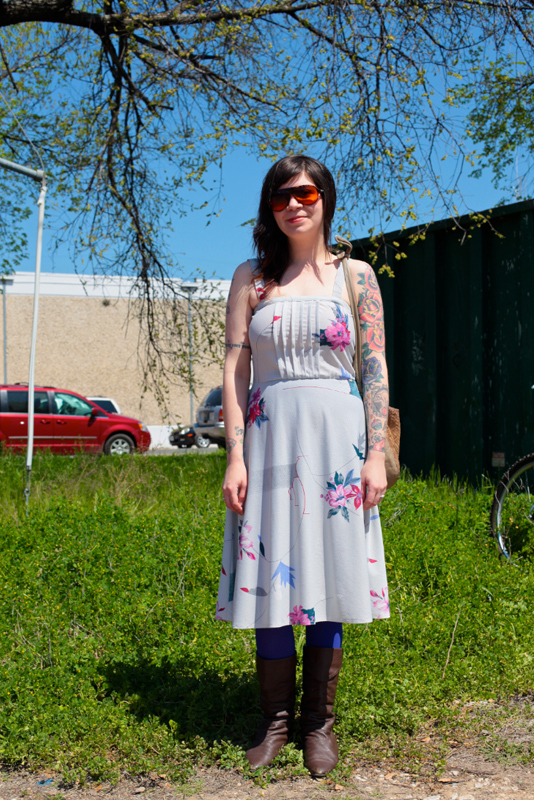 "I just like a lot of vintage pieces. I like to put different stuff together. This is all from a thrift store. My inspiration is I guess, I don't know, [nearby friend] Laura Purdy." Cute late 70s, early 80s sundress with a scattered floral print. 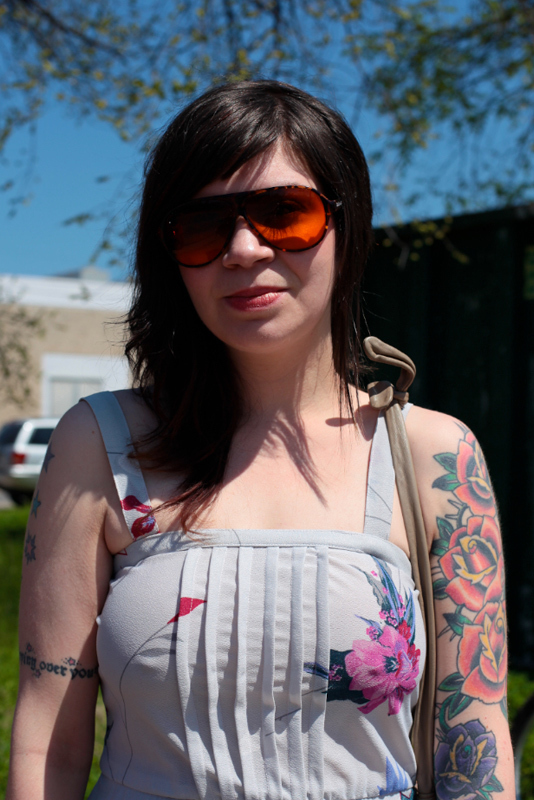 Also check out her extreme aviator sunglasses with the orange lens. 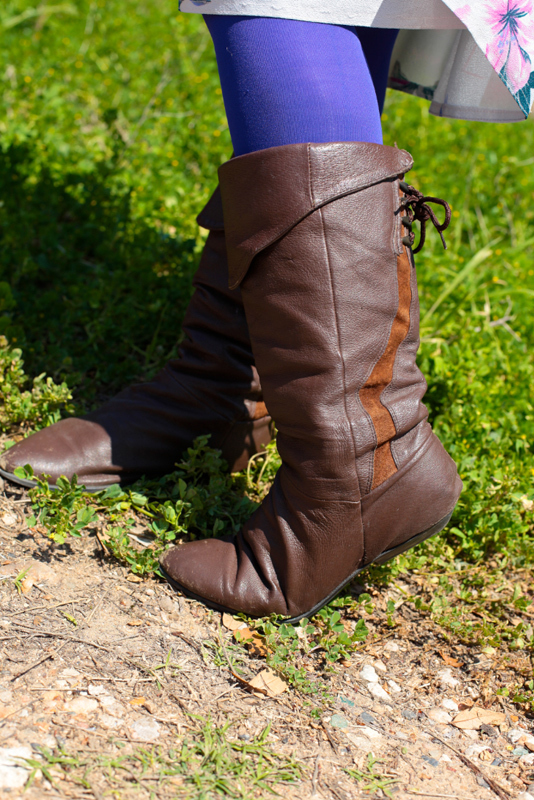 Look at her cool vintage leather boots with a suede inset.